There’s an odd contrast between the organic and inorganic at the heart of Pola Oloixarac’s writing. The Argentinean author relishes in teasing out curlicues of digital code that execute far-reaching programs, or producing dizzying passages in which the macro scale of global economies and political systems are scrutinized as though under a microscope. The results are often lovely and entrancing, even when she turns them to darkly satirical purposes. He fell to his knees, careful not to look directly at this eyeless fish, this mini-Jabba the Hut in its throne room. He opened his mouth, felt a vortex of suction twist his lips. He imagined the hypothetical ingestion of an extremely soft and airy muffin, sending his tongue in on an exploratory mission to capture a bit of filling. Welcome to the strange and frequently wonderful world of Pola Oloixarac. For being a modestly sized novel (barely 200 pages), Dark Constellations is practically galactic in the stretch of its narrative ambitions. Beginning in the Canary Islands in 1882, it recounts in history-book-like prose the journey of a British botanist and his colleagues as they encounter a native population with whom they share a viral-like hallucinatory sexual escapade that lasts weeks. From there, it leaps forward a century to Buenos Aires, where disaffected young hacker Cassio, connected through strange genetic bonds to the mysterious expedition a hundred years prior, is learning to create viruses of a far different nature at the same time his own awkward and clumsy body is pulling him back to the banalities of everyday reality. He has visions of world-altering creations, of developing inorganic beings that will transform not just the world around people, but people themselves—a messiah-like complex, only it’s not humanity he’s interested in saving, but what it has the potential to become. 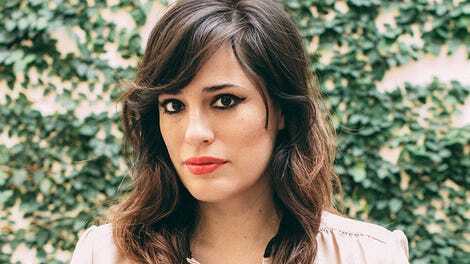 If this all sounds very vague, that’s because Oloixarac has intentionally crafted a labyrinthine project for her characters, one that blends the synthetic and organic, the human and inhuman, and would require more space to explain than a simple summary permits. But it’s also because the author wants to purposefully blur the lines between her stories, to apply the same hallucinogenic effect that her 1880s botanist spends his time obsessing over to her prose on coding and data harvesting, resulting in a book that suggests more than it reveals about the connections between biological exploration, digital exploration, and the dangerous promise inherent in combining them. This is her version of philosophic writing, just one aspect of the novel, and it always crashes back into the engaging forward momentum of her protagonists as they barrel ahead in life, looking to give their existence meaning. Unfortunately, it also runs smack into moments where she refers to penises as “meatworms.” The silly repellency of her sexual descriptions almost acts as a comic foil to the elegant profundity of her conceptual themes, but they still feel a bit like record scratches that pull the mood up short. Luckily, she’s crafted a weird and absorbing cyberpunk tale that can sustain such odd interludes. It ends a bit too abruptly, like Oloixarac is trying to pull the plug just as it’s getting very interesting (and twice as complicated, admittedly), but the “what if” tone of the conclusion is thought-provoking in its own right. 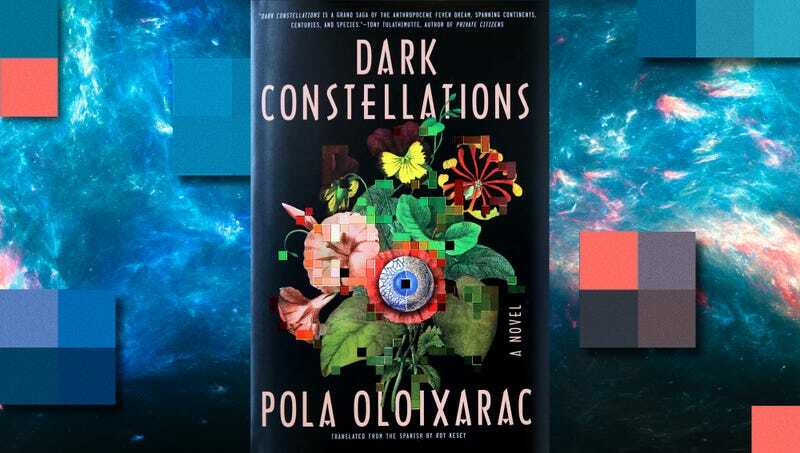 Dark Constellations should find her a new audience of readers hungry for strange and all-too-plausible tales of our modern, algorithm-driven lives, but it reaffirms a stereotype about brilliant philosophical writers: They often stumble over the dirty stuff.